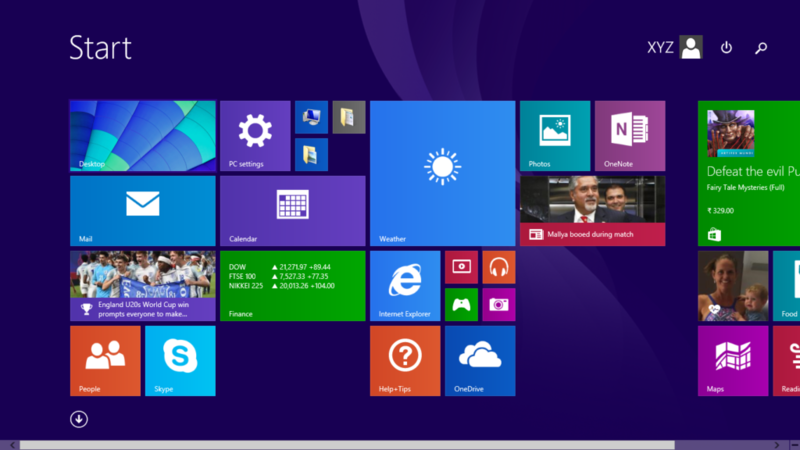 In windows operating system allows you to create or add new user account that tells Windows which files and folders are accessed by that person on the PC. When you first installs Window 8/8.1, it asks for a user name and password to create your very first account. This account is a Administrator account, which has the highest set of privileges, from which you can create, delete or manage new user account in Windows. Here is some steps to create or add new user account to the system. Step 1: Press “Win key” in Window 8/8.1 to open the “Start” page and also you can swipe to the right edge of the screen, tab “setting” then click on “change PC setting” it will open all the setting page. Step 3: Then click to “other accounts” and a “Add an account” option appear in the right side. Click on “Add an account” option. 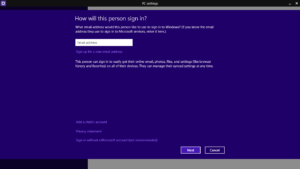 A window appear in which you have to enter the account information of the person to sign in to Windows. Remember when you are assign a new account to the person then he/she must have a registered Microsoft account. 1. 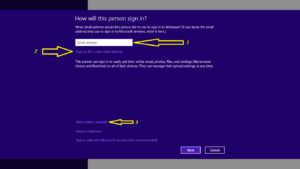 The person you are adding already has a Microsoft Account then he/she will enter by simply enter his Microsoft’s registered email address. 2. 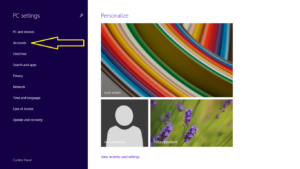 If the person you are adding doesn’t have a Microsoft account, then you have to create with his email address which is free to create new Microsoft account. 3. If the person you are adding is a child, the click on “Add a child’s account” and follow’s the instruction as given on the screen. See also:- Windows 8 Shutdown And Restart Problem.